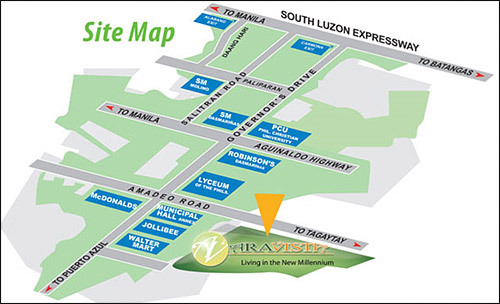 ARA VISTA is a master-planned community sprawling on a 50-hectare (500,000 sq.m.) lot envisioned to be an Information Age City. As such, certain features and amenities have been carefully selected and infused into the project to maintain its nature-inspired quality living amidst its technology-based setting. Ara Vista is a unique amalgamation of technology and the traditional comforts of home. It is designed to re-invent General Trias. 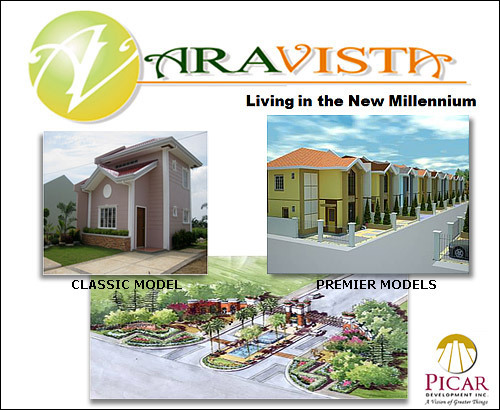 Ara Vista is destined to be the landmark to watch in Cavite City. Ara Vista incorporated within its project development an IT Park which is PEZA accredited; and hectares of thoughtfully-conceived and well-laid out bungalow and two-storey houses. Luxurious as it may seems yet made affordable through its friendly payment terms. Christine 56.45 sq.m. Christine 108.185 sq.m. Clara 64.595 sq.m. Clara 105.60 sq.m. 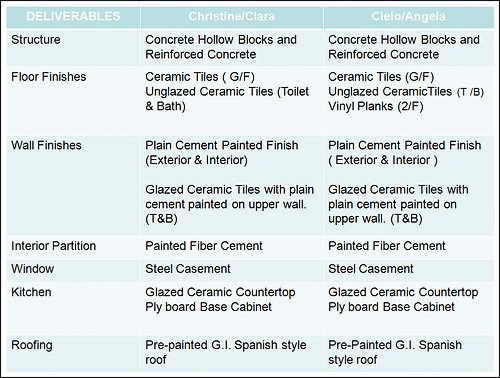 Cielo 77.625 sq.m. Cielo 95.075 sq.m. Angela 82.60 sq.m. Angela 102 sq.m. 20 % Down payment: - Downpayment payable in 24 months at zero percent (0%) interest. All downpayments of buyers must be secured by post-dated checks instead of cash. Those buyers who may not be able to forward to Picar post dated checks, they are advised to deposit their payments at our Union Bank account. Size range: 250 sq.m. to 353 sq.m. Price range: PHP 11,480/sq.m. to PHP 12,768/sq.m.